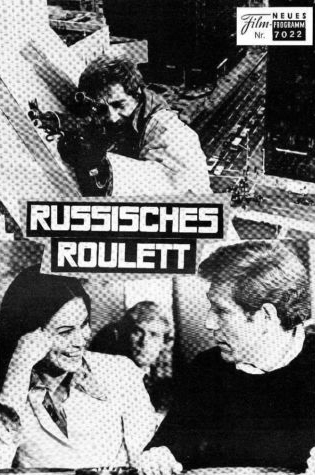 Here's a cool German program for Russisches Roulett, the German title for the 1975 film Russian Roulette starring Cristina Raines and George Segal. It's worth noting that here roulette is written without the final 'e', whereas many other German sources list the title as Russisches Roulette. I've only seen Russian Roulette with the original English audio. I wonder how the dubbing is for Cristina Raines' voice? Regardless, I hope German-speaking viewers enjoyed her performance!